Notes: As far as rural car parks go the car park at Miterdale certainly fits the bill found nestled within the Miterdale valley. 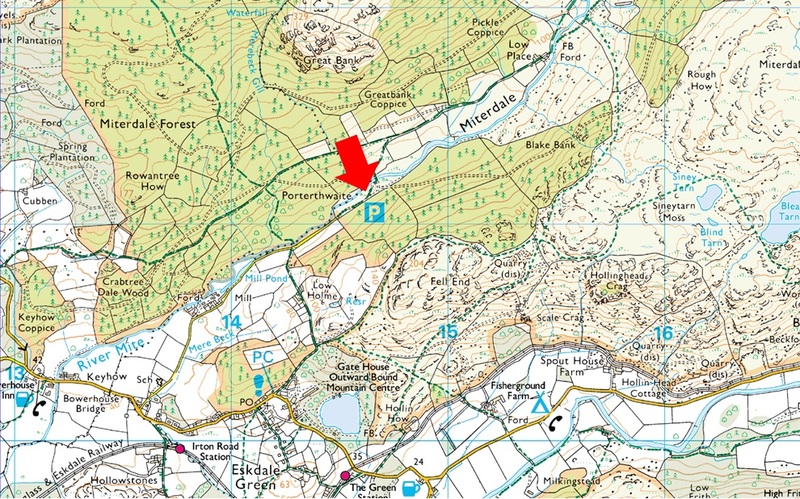 The car park offers easy access onto Whin Rigg, IIIgill Head, Burnmoor Tarn and the more secluded tarns of Blea and Siney Tarns. Parking is free.